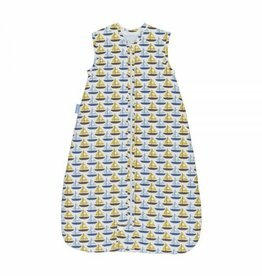 The Orla Kiely Boats Travel Grobag features a pavilion of boats! Vent in back for 5 point harness. 100% Woven Cotton with Polyester fill on 2.5 tog.